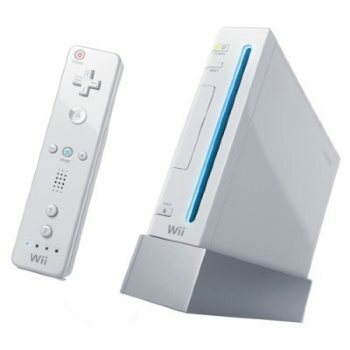 On Sunday, June 5, 2011, it was reported that Nintendo Co. had been hacked. The security breach on their network was not as severe as the one on Sony’s PlayStation Network. Hackers were not able to obtain any sensitive information, nor have the attacks caused any damage to internal systems that would inconvenience their customers in any way. The latest attack has raised questions over who exactly is responsible for hacking these online servers. Unlike many security breaches which are done anonymously at the hands of obscure hackers, the group who took public responsibility for hacking Nintendo is called LulzSec. LulzSec has claimed responsibility for hacking other websites, as well, including some of the Sony websites. LulzSec stated on Twitter: “We’re not targeting Nintendo…we sincerely hope Nintendo plugs the gap.” The group also confirmed Nintendo’s claims that no important customer data was lost in the breach, stating, “we [sic] just got a config file and made it clear that we didn’t mean any harm. Nintendo had [sic] already fixed it anyway.” The recent string of security system breaches serves as a wake-up call for other companies to bolster security defenses on their own computer network. What does it take to generate a strong Twitter influence? I could create a list of things that would amount to what it takes to become successful in Twitter and, as a whole, social media. A general list would contain items such as adding followers, following them back, engaging them in conversation without selling to them, and so forth. I have come across many of these social media “primers” and most of them are a summary of each others’ articles with slightly different perspectives. Overall, the primers summarize what has worked on Twitter and social media. My case study on Twitter Influence takes a different approach. I will discuss @TweetSmarter, a prominent, highly followed, highly listed and highly influential user on Twitter that applies the basic principles of social media and social networking, but doing so in a very distinct manner. I will present my findings from what I have learned by following them for quite some time as well as example tweets that justify my findings. I would describe TweetSmarter as a reliable source of information for topics ranging from Twitter, social media, and tech news, among other topics. The manner in which they are a source of information is intriguing, to say the least, but also painstaking and selective, thereby contributing to their trustworthiness. Dave and Sarah Larson, the husband-and-wife team behind TweetSmarter, are also responsive to people who have questions and concerns about Twitter. They scour social media and tech websites as well as tweets linking to noteworthy articles. If they find an article from a website, they produce a shortcut link through j.mp or bit.ly and tweet the article to their followers. If they find an article from a tweet, they click through the original shortcut link for it, produce a shortcut link for the original URL of the article via j.mp, and retweet the article to their followers. Almost all of the time, they remove the user or users of the original (re)tweet so that the headline and link stand out. This move also helps them retain their position as an information source despite the authorship of the articles. On an aside, creating their own shortcut links for all of their tweets allows them to track them all. Data is king, especially for Twitter analytics. TweetSmarter does not tweet links haphazardly. They make sure that each article is reflective of the type and quality of information they set out to provide their followers. In a sense, they do retweet articles, but gradually and selectively. Following TweetSmarter would create much added value to your knowledge about Twitter and social media. Hundreds of thousands of their followers, including myself, are fully aware of the added value that TweetSmarter provides to our knowledge about social media and are quick to retweet their tweets, seemingly as soon as they send it out. Users like TweetSmarter that do not have to beg their followers to retweet a tweet (e.g. PLS RT) exert a very strong Twitter Influence. What lessons have I learned about creating a strong Twitter Influence by following TweetSmarter? Be a source of information. Make the topics or subject matters you will likely tweet about very clear, and tweet consistently about them. Engage your followers, and they will return the favor. Recognize the followers who retweet your tweets. 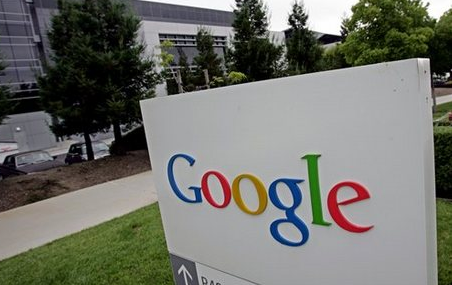 Andy Rubin, who is in charge of Android mobile phone software; Salar Kamangar, who runs YouTube and videos; Sundar Pichai, head of the Chrome Web Browser and operating system; and Vic Gundotra, who is in charge of Google’s social networking strategy, are all being promoted to Senior VP roles. Existing Senior VPs, meanwhile, will take over various departments throughout the company. All these changes are being made to bolster performance in parts of Google’s business that has seen little growth. 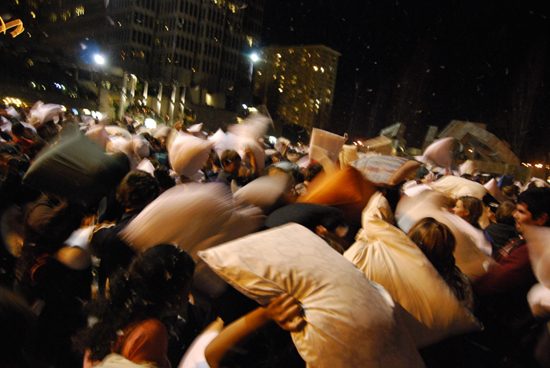 On April 2, 2011, large groups of people gathered in cities and towns around the world to participate in one of the biggest pillow fights of the year. International Pillow Fight Day is a day where people come together in one, big pillow fight, at a predetermined time and place to form a social phenomenon known as flash mobbing. This event was promoted over social networking sites, text messages, blogs and personal websites. So far, the biggest pillow fight that took place on International Pillow Fight Day has been in New York City, where over 5,000 people participated. Although swinging pillows at each other appears to be fun and games, there are instances in which flash mobbing has gone wrong. For example, in 2009 and 2010, there were a series of flash mob events in Philadelphia resulted in rioting, violence, personal injury, and the destruction of private property. As a result, the authorities had to get involved and arrests were made. Let’s remember that coming together as a group to have fun isn’t a bad thing but coming together to incite violence can lead to injury and destruction, so let’s stay safe and have a fun and peaceful time. You maybe surprised to find out that the Oxford Dictionary has added “tweetup” to the English lexicon along with a number of neologisms that may sound familiar to you such as “unfriend“, hashtag” and, for us bloggers, “tag cloud“. This shows us that social media has taken a firm grasp in our daily lives, enough so that a venerable institution such as the Oxford University Press would add the words to their dictionary. Tweetups cover a wide spectrum – from spontaneous, quickly arranged acoustic concerts to highly organized, highly publicized protests. You cannot gauge how many people will attend the event. For example, you broadcast your tweetup to 20 of your followers. Only nine of the 20 show up, but each brings along two friends. The attendees of your tweetup, therefore, consists of nine people you contacted directly and 18 you don’t even know. While attracting a large audience for your tweetup is nice, engaging your audience would make the tweetup a true social networking event. Otherwise, you would have nine groups of three people each that silently keep to themselves. 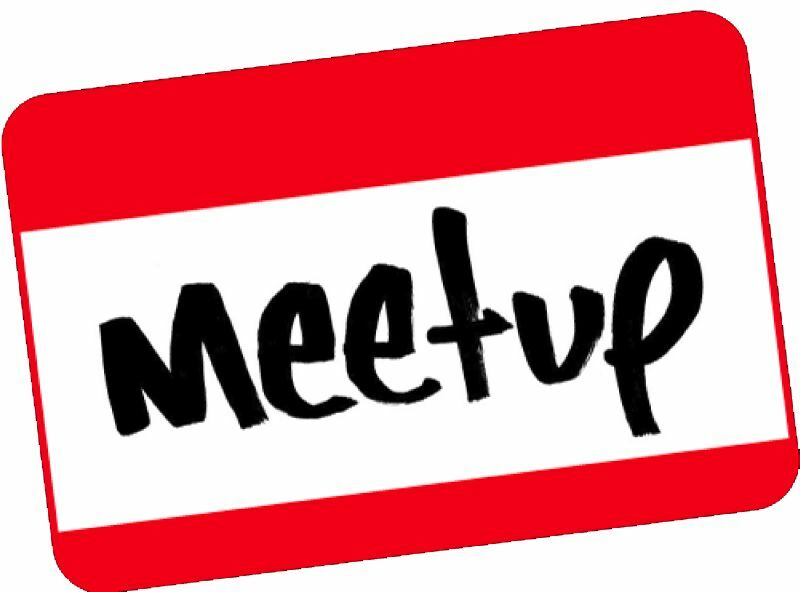 If you’d like to plan your own tweetup, Mashable has compiled a list of things to consider. DO Make the most of your Twitter network. You may not need professional assistance for small gatherings. However, if you are planning a large event, PR and marketing people on Twitter can help create buzz and support for your event. DO Visit the venue in person. Yes, I am serious. You do not want to organize a tweetup only to find out, along with the rest of the tweeps, that a venue has gone out of business or been torn down months ago. Don’t trust an outdated photo from Street View on Google Maps. Visiting the venue will also give you ample time to decide whether or not you need a larger one, which leads me to the point. DO Plan for more people to show up than you think. Earlier, I mentioned the example of nine people bringing two of their friends each. In the world of Twitter, people may tag along with a group because they happen to mention the tweetup and, before you know it, an entire bus, subway car or ferry full of people start making their way to the tweetup. Expect the unexpected and embrace with open arms the non-tweeps who just so happened to show up. DO Invite a well-known speaker or two. If you manage to get Guy Kawasaki (@GuyKawasaki), Tony Stevens (@tonystevens4), or Dave and Sarah Larson (the couple behind @TweetSmarter) as guest speakers, you may need a soccer field and the field next to it. DO Use email. It stands for “electronic mail”, remember? People still use email. Just think of it as a way of writing seven DMs in a single message. While you may meet thousands of tweeps and know them by their Twitter username, you may never learn any of their email addresses, yet still communicate to them on Twitter. 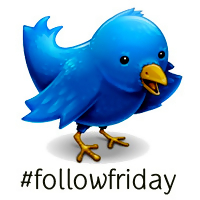 In addition, email would help you discern your pre-Twitter friends from your current followers. DO Use event services to help you organize your guests, collect donations, and provide sharable content. Mashable provides a listing of services you can use. DON’T Use a venue with limited Wi-Fi or cell phone reception or, worse, dead zones. The Twitter crowd is a technologically savvy one. During a lull in activity at some point during the tweetup, hundreds of people may go online at the same time. Make sure that the venue can handle the traffic. As a rule of thumb, pretend that the total number of people you expect to show up at the tweetup has an iPhone, iPad, DROID, any of the two, or all three. DON’T Have the event in a venue ill-suited for the tweetup. The name of the game at tweetups is communication. Tweetups are social networking events. Anything that impedes communication will cause the event to become memorable to the attendees for the lack thereof. DON’T Treat the tweetup as a kickback. You may hang out with a group of friends every Saturday afternoon for five years in a row for no particular reason whatsoever, but the tweeps attending the tweetup are not that group of friends. Make the purpose of the tweetup very clear so that people can get ready accordingly. Is the tweetup a luau? People need time to shop for a Hawaiian shirt if they don’t have one. DO Arrive at the event early. It’s common courtesy to arrive early, and it gives tweeps some relief that you, the tweetup organizer, would show up to your own event. Just before you begin, you can pass out tweetup material such as schedules that list the day’s events. DO Collect business cards. For whatever purpose you set out your tweetup to accomplish, networking with the attendees is the most important activity you do with them, and that begins with collecting their information. DO Provide food. How many missed networking opportunities would take place if you didn’t provide food? After all, networking takes place over as little as coffee. After a couple of hours of workshops and guest speakers, provide food to the attendees so it gives them a chance to talk about the day’s events so far amongst each other. DON’T Use water-soluble markers or thin pens. You want the attendees to read each others’ names from afar, so use dark, permanent markers with thick ink tips. DON’T Snub the guests. Treat @TeenW_Braces with the same respect as you would @CodesInBasic, @WearsIPadOnNeck, or @BlondeMensaGal. DON’T Go open bar. I wasn’t expecting Mashable to include this in its list, but it makes perfect sense. You do not want rowdy attendees that had no other purpose than to drink free alcohol. Above all things, what do tweetups do? They turn online interactions into real-life contacts. 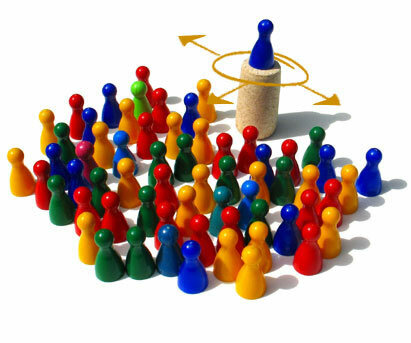 In communities that hold regular tweetups, the line between online communities and real-life communities will become blurred. Start planning a tweetup in your community. You never know who may show up.